We want free products, period. 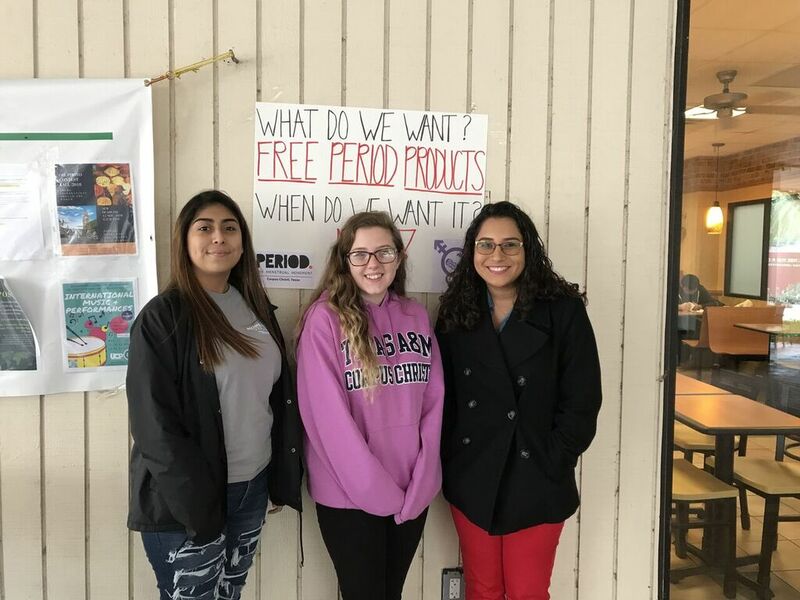 Islander Feminists Club teams up with PERIOD to fight for free period products on campus. The Islander Feminists club on campus has initiated a campaign to bring free period products to the university. To do this, they are partnering with Corpus Christi’s branch of PERIOD, an organization that is geared towards getting period products to those who need it most. “We are partnering with Period Corpus Christi,” said Ariana Rodriguez, president of Islander Feminists. “They are part of a national non-profit that focuses on periods and gives to providing products for women who would otherwise go without or for destigmatizing the negative stereotypes around periods. So, we are working with them to do that. In order to bring this movement on campus, Islander Feminists have already proposed the idea to the Student Government Association and the university, but they need and want to show that faculty, staff and students on campus are also interested and are in support of this change. In order to show this support, Islander Feminists have started tabling to petition for signatures from their fellow Islanders. Jaquelynn Cortez, junior Criminal Justice major, is one student who believes in the benefits of bringing free period products on campus. Cortez spoke of some personal experience with having to find and buy products on campus and how expensive and inconvenient it can be. Rodriguez believes that bringing the products to campus will not only help those who need them but can also spread awareness about an issue that some students may not realize affects their fellow classmates. After their first day of petitioning for free period products, the Islander Feminists collected over 100 signatures. They have continued to advocate for this cause and hope that their fellow Islanders will see the need and help bring the menstrual movement to TAMU-CC. For more information about Islander Feminists, look for their club on I-Engage and follow them on social media @isanderfeminists. For information about PERIOD, please visit their website.